What Is Tolerance in Resistors? An electrical resistor has colored bands across its body that indicate its resistance value and other specifications. The fourth band represents the resistor's tolerance, a measure of accuracy. Tolerance indicates how much the measured value of its actual resistance is different from its theoretical value, and it is calculated using percentages. Some resistors have only three bands on their outer casing, which means that the tolerance band is blank. This means the tolerance has a default value of plus or minus 20 percent. For example, a 1k-ohm resistor would have an actual value that measures from 800 to 1200 ohms, since the tolerance would be 200 ohms. A silver band indicates a tolerance in the range of 10 percent, while a gold band means 5 percent. High-precision resistors have tolerances of 1 percent or less and have colors such as brown or green. A resistor color code chart lists possible colors and meanings of the fourth band. You can use a digital multimeter to measure the actual value of a resistor; you can compare the measured value to the theoretical value. 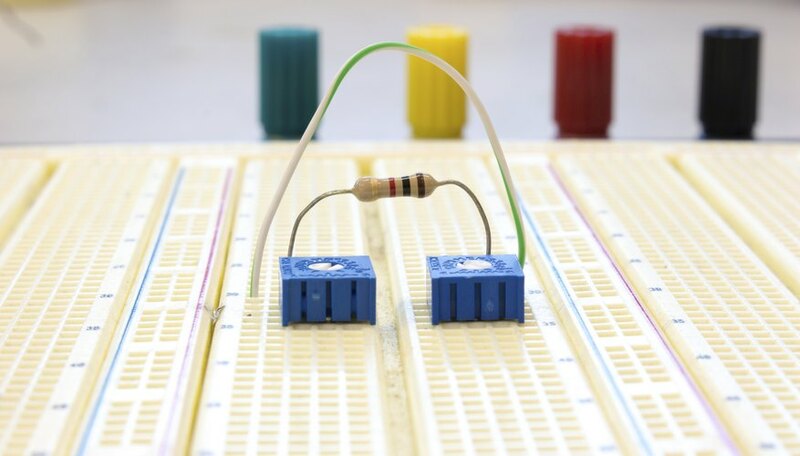 Circuits, such as those built by hobbyists, students or homeowners, often use ordinary resistors with 20 percent tolerances. Precision resistors with very small tolerances are necessary in circuits used in mission-critical projects, such as in spacecraft. Lewis, Kim. "What Is Tolerance in Resistors?" Sciencing, https://sciencing.com/tolerance-resistors-6965888.html. 24 April 2017.